I have to apologise for my lack of posts recently, things have been rather busy in our household. 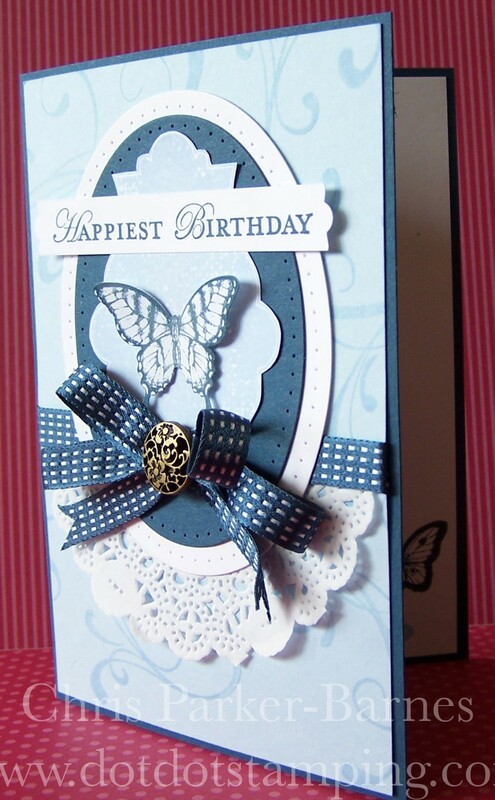 I have been doing a little crafting so I will try to catch up and share some of them with you. 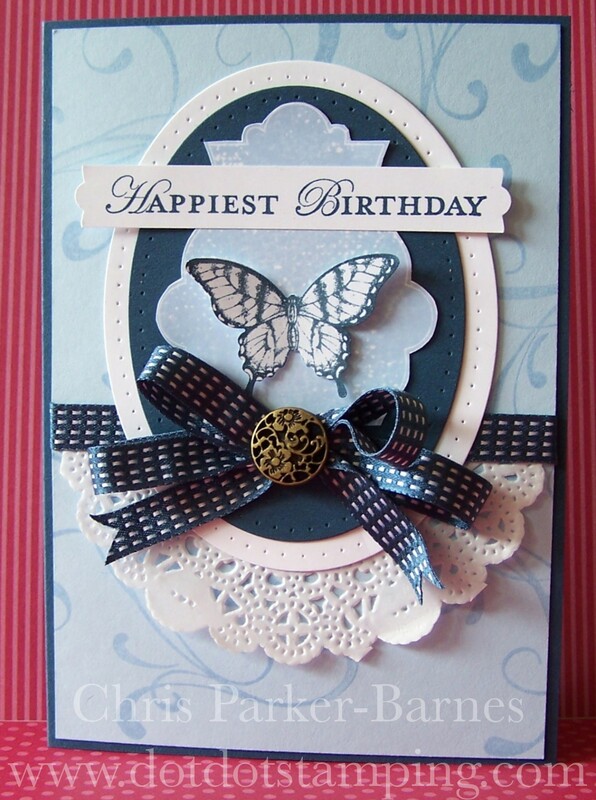 This card uses the Everything Eleanor, Papillon Potpourri and Apothecary Art stamp sets, along with the colours Bashful Blue and Midnight Muse and a half of one of the pretty doilies. Promise to be back soon with more of my creations.